Making TV clips (& pop culture headlines) at E! News. NBCUniversal is one of the longest running users of SnapStream. From “The Soup” to E! News, they’ve got every SnapStream use case covered. The man behind it all, the pulse of SnapStream at NBCUniversal is Stefan Lysenko. His role was created to manage SnapStream, so he knows the platform in and out, backward and forward. He spoke with us and shared some of his workflows and tips for managing the platform and how SnapStream, and his role, have changed over the years. Stefan is a unique customer for SnapStream. He manages requests from ALL shows or departments at NBCUniversal (E! 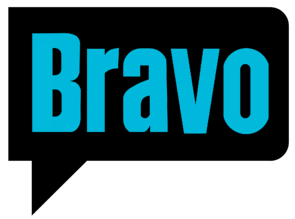 News, Bravo, Access Hollywood, E! Online, E! News Now) and uses SnapStream to record, clip and share. NBCUniversal has one of the largest SnapStream setups with 50 channels being recorded simultaneously, 12 shows/teams using the platform and 9TB of storage per tuner card. It's a monster setup. Q: Tell me about your role at NBC Universal? Stefan: I manage SnapStream at NBC Universal as I am the main contact overseeing the platform. Everyone will tap me first to find a solution to address the current challenge, issue or question for TV recordings. As far as maintenance, I handle all the conflicts. We can record 50 things simultaneously, so I manage the priority list to make sure everyone gets their needs met. We also have a backup TV tuner, to ensure we don’t miss any recordings. I’ve developed a “hunch” recording. Because we have the ability to record so many things, sometimes I can take a look and think, “someone is going to want that”. I get plenty of requests from people that may have missed a recording and they’re double checking with me to see if I happened to grab it. When things go wrong, if there’s a bad tuner, etc. I’m the first one to address the issue, and get one of our engineering team members to address the issue. At the same time, I’m trying to find a way to get our production team the show they need. So, that’s when I may tap into the backup server. Q: Do all of the shows under NBCUniversal that use SnapStream go through you? Stefan: Exactly, my role was has been created around this. We’ve been a SnapStream customer since it’s infancy, and you’ve all done so much to expand and evolve the platform. Our SnapStream use has really broadened over the years. Some of the NBC groups using SnapStream have very unique tastes and needs. For instance, “The Soup” focused on clipping really odd moments in television and pop culture with commentary by a comedian (Joel McHale). They had PA (production assistant) scouring all these odd cable shows, finding these wacky things, using that to build the show. Whereas, E! News is very traditional. Our entire SnapStream user base is very diverse, there are so many different uses. We have some groups that are recording things just to see the commercials. 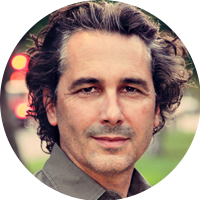 “We’ve been a SnapStream customer since it’s infancy, and you’ve all done so much to expand and evolve the platform. Our SnapStream use has really broadened over the years." Q: Can you walk me through your SnapStream workflow? Stefan: And now to our workflow..! We've been able to manage our SnapStream workflow with only one full-time employee (myself). When new users are added, they are logged into the SnapStream system and given a small welcome packet outlining the SnapStream tools and details along with the SnapStream login link used for access. TV show searching and clipping details are outlined for our new users and the new social media tools are highlighted since they are powerful, seldom used tools that SnapStream has recently added to their software. New users are given a SnapStream TV show recording request link/template, so that they can request recordings directly through our team. Last but not least, new users are added to our SnapStream group email list so that all users can be notified and updated with one single email contact, while they're also given a SnapStream Operational group email address that accesses our core team directly (including SnapStream engineering) in times of important needs. Q: How has SnapStream impacted the workflow at NBC Universal? Did it replace another system, or did SnapStream open up an entirely new department? Stefan: We’ve used SnapStream from the beginning. When SnapStream came out with the most current version, our department leaders asked me to research similar companies to find a comparable solution before our upgrade. I tried, but I came back and said “I suggest we stick with SnapStream”. SnapStream is doing amazing things, and they’re always meeting our needs regarding our truly unique workflows. Q: Which shows are using SnapStream the most, which ones are seeing the most success with the platform? Stefan: When it was on-air, The Soup was a huge user of SnapStream. Currently, our biggest user is E! News. On a consistent daily basis, E! News is clipping off segments or scenes from such shows as Live with Kelly, The Voice, The Today Show, Jimmy Kimmel Live, Good Morning America and Dancing with the Stars to name a few. Those clips are then inserted into packages and edits that run on-air. For example, Jimmy Kimmel’s Mean Tweets segment would be clipped off in order to air on E! News. Or when Kelly Ripa returned to work from being away after Michael Strahan’s announcement – her first day back & monologue was clipped off and edited into a package that aired on E! News. On the Digital side we’re doing a lot of the same work. On Tuesday night for example when the two Dancing with the Stars “Pros” got engaged, E! Online editors clipped that segment and posted it on our site along with a write up of what happened on set. As a social posting, we'll pull Live from the Red Carpet or during an actual award show. Social would grab the moment off the Oscar’s telecast where Jennifer Lawrence fell going up the stairs to accept her award and would create a GIF on our pages at that moment after it happened. Bravo is a big user for monitoring their own shows. They aren’t building a show with it, but they’re using it in their broadcasts. Q: Is there one aspect of SnapStream you see as particularly beneficial to your organization? One feature you couldn’t live without? Stefan: We’re in a phase with our user groups being so traditional. They really been sticking with the key features of SnapStream, recording and clipping. One thing I believe to be underused is the social media aspect. Sharing clips to Twitter and Facebook. There’s so much that can be done there, you could really have just one person dedicated to the social media aspect of SnapStream. The team at SnapStream has been incredibly helpful and supportive of us, they have our back. And I enjoy pleasing our users. When you get that appreciation from your users and the support from the SnapStream team, it’s just icing on the cake. I'm always amazed at what SnapStream is doing, my excitement remains unwavering." This entry was posted on Monday, October 10, 2016 at 03:18 PM. You can follow any responses to this entry through the RSS feed.